One of the most effective and often requested treatments that our dentist in West Hollywood is proud to offer is dental veneers. These amazing appliances have been a mainstay of cosmetic dentistry and led to countless transformations in patients with even the most advanced stages of damage, decay, and discoloration. Here is a look at what our West Hollywood porcelain veneers specialist, Dr. Ghasri, can do for you and if you might make a good candidate for this painless treatment. Dental veneers are wafer thin pieces of porcelain that are affixed to teeth with a powerful boding agent. They are created custom for each patient and can be used to restore a smile for a wide range of cosmetic reasons. Our expert on porcelain veneers in West Hollywood offers these appliances to those with intrinsically stained teeth, gaps in their teeth, chips, cracks, and other forms of minor damage. This entire process will begin with our West Hollywood porcelain veneers dentist thoroughly examining your mouth for any abnormalities or health issues. Dr. Ghasri will then do some minor contouring of your teeth in order to make room for the veneers as well as give the bonding agent a better surface to adhere to. At this point, exact measurements will be taken of the teeth and sent to a veneer manufacturer. During the patient’s second visit to our expert on porcelain veneers in West Hollywood, the veneers will be applied to the teeth with a very powerful bonding agent. Dr. Ghasri will then ensure the fit and color of the veneers, matching them to seamlessly blend in with the natural teeth. These veneers offer some huge advantages to our patients as they are a long-term solution to many problems with appearance. 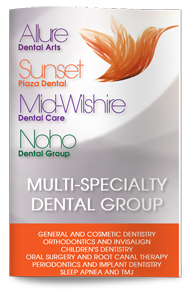 Modern bonding agents last for 15 years or longer and patients will only need to carry out their basic oral hygiene habits such as daily brushing, flossing, and mouth wash. If you would like to transform your smile, give our dental office a call today. We offer all of the leading general and cosmetic dentistry services in a welcoming and comfortable atmosphere. Visit ADA.org to learn more about porcelain veneers.